With the rolling hills and varied landscapes of Missouri, it's not hard to see why bicycling is one of the most popular activities in Missouri’s state parks. Branson/Lakes area offers numerous parks and trails with diversions for bicyclists along the way, including routes with restaurants. The Branson area is an outdoor enthusiast's dream come true. It is rapidly becoming one of the nation’s leading bicycling destinations. Bicycling in Missouri has plenty to offer bicyclists of all levels of interest and fitness. Mountain bikers will enjoy the rugged terrain and challenging bicycle trails at White River Valley Trail System while the more leisurely 2.2 mile Shoreline Trail offers great views of scenic Table Rock Lake State Park. Sunset Park and Stockstill Park are a couple of the area parks that offer activities such as fishing, tennis and Frisbee golf as well as bicycling. Sunset Park is in close proximity to Branson Landing's Riverwalk and North Beach Park. White River Kayaking and Outdoors now offers bike rentals… providing tourist and locals a more efficient and easier way of getting around Branson and to better enjoy the parks and trails in the Branson/ Lakes Area. The Table Rock Lakeshore Trail is a great trail to take your family on. This trail is great for both the inexperienced as well as the experienced rider. This paved trail runs along Table Rock Lake from the State Park Marina to the Dewey Short Visitor Center adjacent to the dam. The trail is open to foot traffic, wheelchairs and bicycles. Trail amenities include water fountains, restrooms, benches and bike racks. The trail is relatively flat and easy walking. It runs along the shoreline and provides good views of the lake. There are dry woodlands and glades on the uphill side of the trail. Some of the oaks along the trail are more than 200 years old. Bald eagles, loons and osprey are commonly seen in the winter. 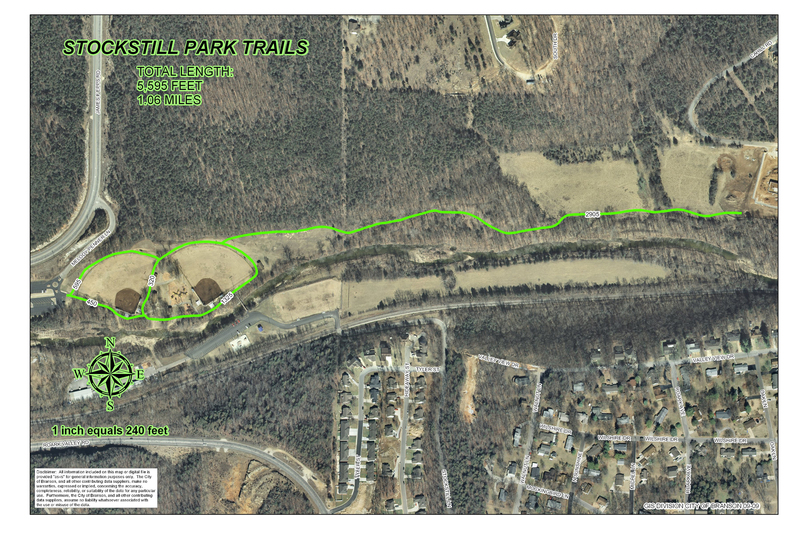 The trail also can also be entered from the State Park Marina area on the south end of the trail. The two trails listed below are for your information only. We do not provide mountain bikes for these particular trails. Also, please read below as both trails are designed for experienced riders. This trail is designed for the more experienced rider. Definitely wear a helmet when riding the White River Valley Trail System. This trail is a natural surface, rugged, single-track trail. You will encounter rocks and tree roots. You may encounter occasional obstacles within the trail corridor while still allowing bicycle and hiking clearance. The trail is a cooperative project with the Army Corps of Engineers. While the majority of the trail is on state park land, much of the trail also runs through Army Corps of Engineers lands that are open to hunting. The sections of trail on their lands are closed to the public during gun seasons for deer and turkey. The Red Loop and the west half of the Blue Loop are open year round as weather permits. The trail system is closed following rains. Please check with the park to ensure the trail is open before you arrive. Backpacking and camping are not allowed. The area the trail system covers is largely disturbed land that was used during the construction of Table Rock Dam on the White River in the late 1950s. Some parts of the trail are built on roads that were used for the construction of the dam, such as the conveyor route that moved rock from the Baird Mountain Quarry to the dam site. There are some scenic areas on the trail including small waterfalls, views of Table Rock and Taneycomo lakes and an abandoned farmstead. The land is rugged with elevations ranging from 710 feet to nearly 1,200 feet above sea level. Natural communities along the trail range from moist bottom forest along Lake Taneycomo to dry dolomite glades on the higher areas. This range of land, from moist to dry and low to high, allows a variety of plant and animal life to exist within the trail area. River bottom areas contain huge sycamores and cottonwoods. Mid-level trees are mostly oaks and hickories with the higher areas containing shortleaf pines and the glade-dwelling ashe’s juniper, which is primarily found in west Texas and Mexico. Animal diversity is great with birds, such as the great blue heron, found in the White River Valley and desert-adapted species, such as roadrunners, collared lizards and tarantulas, in the glades. The Red Loop has an elevation change of about 120 feet on the loop. The Red Loop should be ridden clockwise from the trailhead. White connector 1 is near the center of the loop to allow for a shorter trail experience. It is best accessed from the main trailhead. This loop runs through upland forest and creek bottom areas. There is a lot of exposed dolomite rock. The Red Loop is the most technically challenging loop and contains a number of obstacles for the experienced cyclist. These obstacle areas are signed along the main trail. Please do not attempt to ride the obstacles if you are in doubt of your skill level. There is a filtration pond located at the north end of the loop. This pond is designed to contain silt from the dam construction era. The pond is a nice place to observe waterfowl and beavers. On the east side of the pond, white connector 2 runs for .50 mile, where it joins the Blue Loop. The Blue Loop should be ridden clockwise from the trailhead. White connector 3 is near the center of the loop and indicates the closure point of the Blue Loop during gun hunting seasons. The loop can be accessed from white connectors 2 and 4 or from the Lake Taneycomo parking area down the hill from the dam’s scenic overlook. The Blue Loop is the most diverse loop on the trail system for nature. Portions of this loop run along Lake Taneycomo before climbing to the glades of Baird Hill, with nearly 400 feet of elevation gain. The Orange Loop is the shortest loop and should be ridden clockwise from the trailhead. Elevation difference is about 110 feet on the loop. This loop meanders to some small waterfalls on Baird Mountain Creek. It is accessed by white connectors 4 and 5 only. White connector 4 comes from the Blue Loop to the north, while white connector 5 lies to the south of the Orange Loop and connects to the Green Loop. White connector 5 will take you through an old farmstead before it merges into the Green Loop. Please take care not to disturb buildings or artifacts in the farmstead area. The Green Loop should be ridden clockwise from the trailhead. The Green Loop can be accessed from the trailhead at Trophy Run Road or from white connector 5 on the north side of the loop. This loop has the highest elevation point on the trail system at nearly 1,200 feet. It runs through grassland, glade and forest and has great views. Please take care to stay on the trail in this area as loose rock, falling hazards and private property are nearby. This trail is designed for the more experienced rider. Definitely wear a helmet when riding the Busiek State Forest and Wildlife Conservation Area. The Busiek State Forest and Wildlife Conservation Area covers 2,505 acres of mostly forested, steep and rocky hills about 15 minutes north of Branson. US Hwy 65 bisects the State forest, creating a 10-mile east trail system and an 8-mile west trail system. Each trail system has three color-coded loop trails that range from 2 to 4 miles each, and all are easily accessible from the highway. All trails are designated “mixed use” so they can be used for hiking, horseback riding and mountain biking. Motorized vehicles are prohibited. There’s also an unattended public shooting range along with nine primitive, designated campsites that require a permit from the Missouri Department of Conservation’s Southwest Regional Office in Springfield (417-895-6880). Busiek State Forest is a fairly typical Missouri forest without any specific main attraction. However, the trails offer pleasant vistas and valley views, with the Woods Fork Creek and the Camp Creek flowing across 2 l/2 miles of the preserve. It’s a good site for backpacking, hunting, fishing, hiking camping, bird watching and just relaxing in an easily accessible forested preserve that receives little traffic. To get there, take Highway 65 about 14 miles north of Branson or 18 miles south of Springfield. Watch for the well-marked entrance on the East side of the highway.